Posted on July 20, 2012 December 28, 2017 by Marty Schoenleber, Jr.
More evidence of a deep sickness at the core of American society in these shootings in Colorado. Yet another indiscriminate shooting by a young man, heavily armed and taking lives without compunction or remorse. Unfortunately, within days people on the right and left of the political spectrum will start to unpack the events for their own political agendas. This is not a right or left problem. This is a spiritual problem. Our nation is sick at its core. 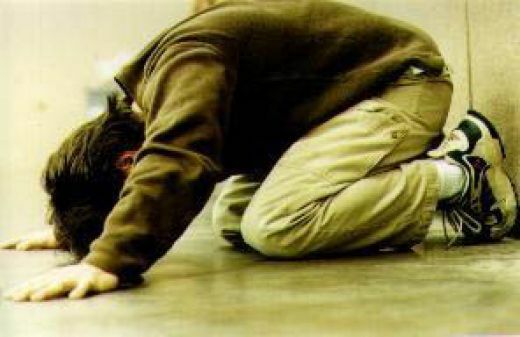 We need the people of God not to rise up in political action but to bow down on their knees in repentance and faith and seek the face of the Living God. Pray for the families who lost loved ones in Colorado; pray for the people who have been traumatized by the events; but pray too for the nation, starting with Christians, to turn their hearts toward God. Thank you for pointing out that this is not about politics. Unfortunately, as you have stated, many in our country will simply turn it into a political argument. What happened today was sickening. I pray that those involved will receive healing from God, peace, and that God will be glorified through this tragedy. Beautifully said, Pastor Party. I am praying dailing for them. It grieves my heart that I could republish this post every other week. Our nation is sick. Violent, godless, impure, corrupt. The evidence is all around us. We desperately need revival.